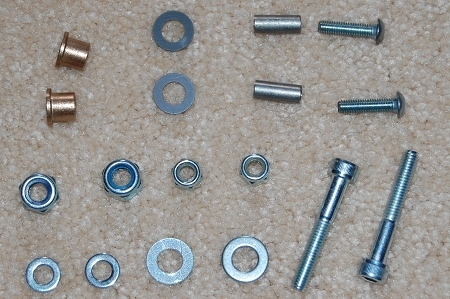 Rear suspension hardware kit for Zinn Megabike. Includes bushings, washers, and bolts for rear pivot, as well as cartridge bearings, bolts, and washers for upper pivots. Does not include sleeve and bearings for the Concentrak BB pivot. Those are sold separately.